A Trello board is a list of lists, filled with cards, used by you and your team. Trello has everything you need to organize projects of any size. Open Trello and log in. After logging in, click this link to generate an API Key. Copy and Save the API Key only. We will use it in Klipfolio and to generate a token. 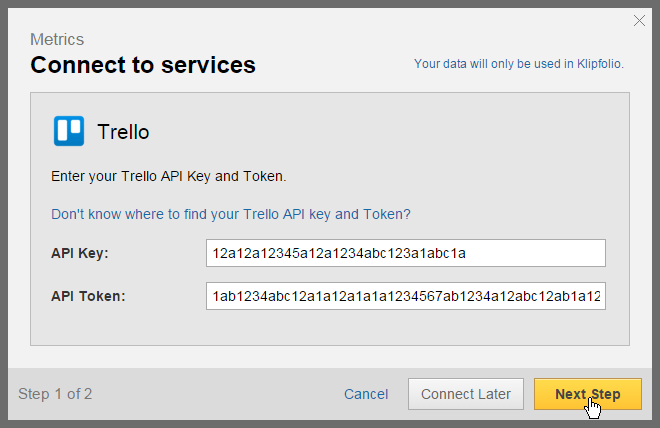 Paste the API Key into Klipfolio, and save your API Key. 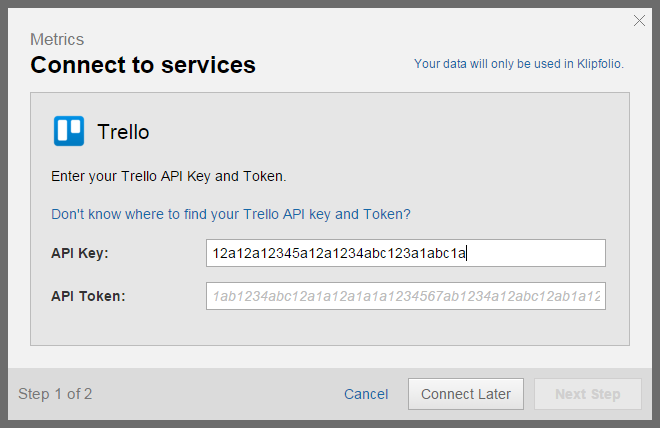 In the URL, replace your-api-key with the API Key you just generated and any-app-name with whatever name you like, such as Klipfolio. Paste the API Token into Klipfolio. Select a Trello Board from the drop-down list.